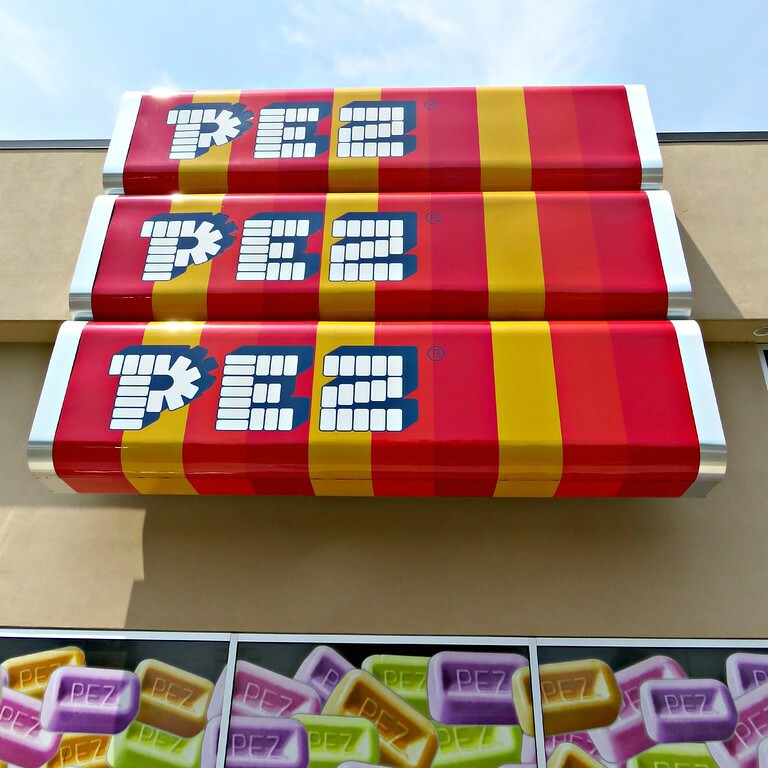 Just across the Long Island Sound from where I live is the PEZ Visitors Center. Yes, PEZ as in the candy with the cool dispensers. When I pulled in to the parking lot I was surprised to find a line of about 20 people waiting for the visitors center to open. 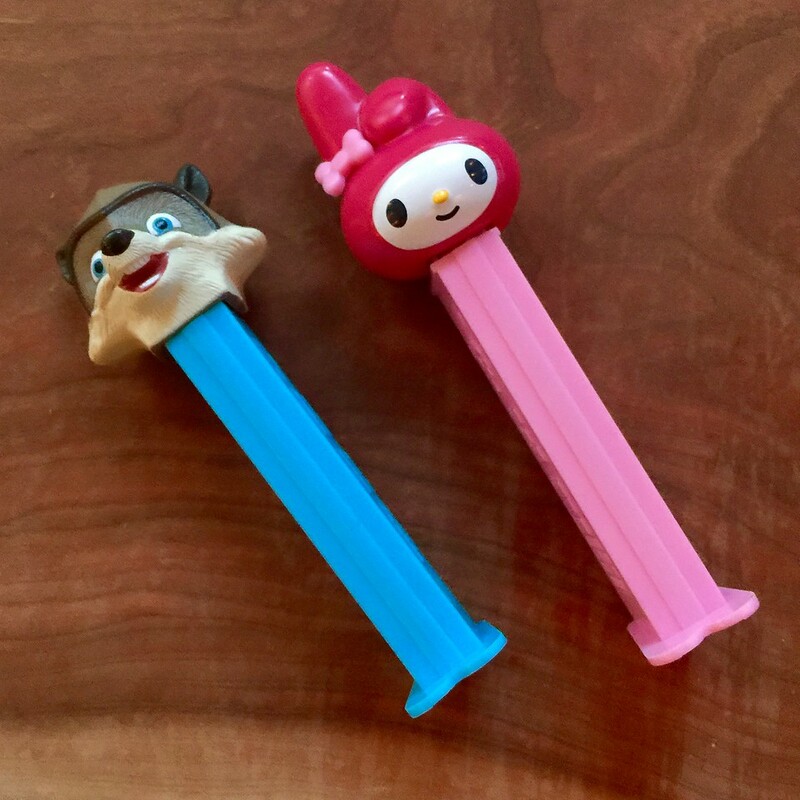 Perhaps I was naive to the popularity of PEZ! There is a $5 admission charge to enter the floor. But, you will receive $2 bucks back if you buy something in the gift shop. Frankly, buying something is hard to resist. I bought a pin for my hat, a My Melody dispenser (a throwback to my childhood) and some postcards. Check out that John Quincy Adams, below. Pretty sure my life won’t be complete until I have one of those. With your admission, you are also given a game card. 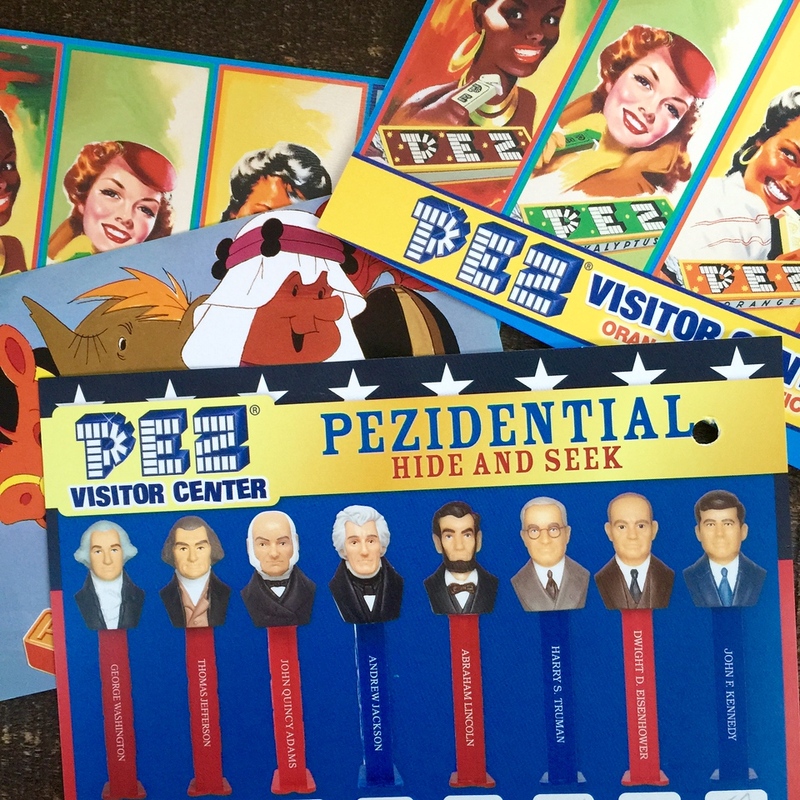 The object is to solve a word puzzle by finding hidden Presidential PEZ dispensers in the displays. Finishing the puzzle earns you a spin on a wheel to win a dispenser. I got a raccoon. Or maybe a wolf. I’m still not sure. Though the production floor was closed for a few weeks when I stopped in, you could still peer inside the inner workings of the PEZ heart. But, the dispenser displays were most interesting to me. They really bring on feelings of nostalgia. 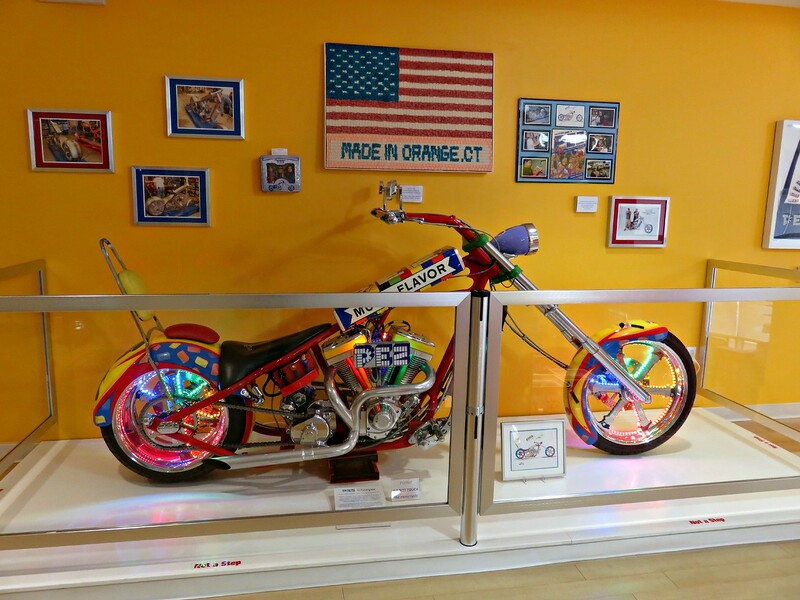 Did you know that OCC built a PEZ Motorcycle?! Motorcycle Group Riding: Leader Responsibility? Window Shopping: Bimota, Aprilia, Derbi – Oh My!